I attended the British and Irish Association of Law Librarians (BIALL) annual study conference held on 13-15 June 2013 at the Hilton Hotel in Glasgow. The theme of this year’s conference was “The Business of Law”, including “Business for Managers” on the final day. The BIALL conference is the annual gathering of law librarians from all sectors across the UK, Ireland and beyond. The conference began with a game of ‘spot the law librarian’ at Glasgow’s airports, train stations and hotel receptions on Wednesday afternoon. I attended Justis Publishing’s legendary pre-conference social event on Wednesday evening. 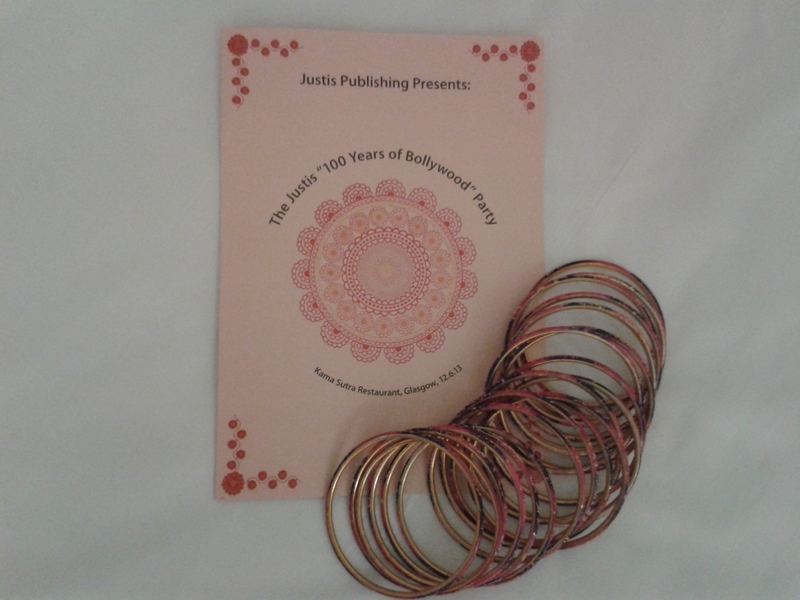 This year’s theme was “100 Years of Bollywood”, and it was held at the Kama Sutra restaurant on Sauchiehall Street. The dinner, drinks and entertainment (our unique take on bollywood dancing and gangnam style) were fabulous – photographic evidence is available. The conference was formally opened by James Mullan (BIALL President) on Thursday morning. We were asked to remember Sarah Spells, whose young life was tragically cut short in September 2012. The Keynote Lecture was given by Prof Hector MacQueen of the Scottish Law Commission. Entitled “Invincible or just a flesh wound? The Holy Grail of Scots law”, Prof. MacQueen presented his thoughts on the challenges and future of the Scottish legal system, with a little help from Monty Python. Recurring issues included the Scottish civil courts and role of Supreme Court; the choice between English and Scots law and litigation, and the outcome of the Scottish Referendum in 2014. The second Plenary Lecture was given by Carol Tullo of The National Archives. Entitled “Legislation.gov.uk – Essential for the law business”, Carol outlined the history, development, challenges and current status of the legislation database. Carol acknowledged the importance of providing up-to-date legislation, and outlined their innovative use of Expert Participation to update resources, with a view to completion by 2015. At the end of the first day, I attended my first BIALL SCOSAF (Standing Committee for Finance and Strategy) meeting. As incoming Chair of BIALL’s Professional Development Committee, I was introduced to the BIALL Council and other Committee Chairs, and had my photograph taken for the BIALL website. I also discovered that my former colleague Marianne Barber would be BIALL’s new President Elect, becoming BIALL President in 2014. On the second day, Nicola Sales of University of Salford delivered my highlight of the conference. Entitled “Flipping the Classroom: Revolutionising Legal Research Training”, Nicola recounted her experience of implementing Flipped Classroom teaching methods with undergraduate law students. In the Flipped Classroom, students complete online (instructional) tutorials in advance of their teaching session, and then use the teaching session to complete higher level learning activities with support from their teacher. If a librarian were to implement the Flipped Classroom, they would need to be fully embedded into their curriculum, and I am (unfortunately) not yet at that stage. However, Nicola certainly presented some interesting ideas, from which I can borrow and experiment. Another useful second day session, was Tony Simmonds of the University of Nottingham on open access publishing. Entitled “Green Shoots? Golden Opportunities? The Story of Open Access at a Leading UK Law School”, Tony gave a clear summary of the history and current state of open access publishing from the perspective of legal academics. An ornithologist’s delight, Tony discussed the impact of the Finch Report 2012, and the Green (institutional repository) and Gold (article processing charges) routes to open access publishing, and the challenges faced in his everyday work. The University of Nottingham is the home of the SHERPA Romeo (journal publisher requirements) and Juliet (research council funding requirements) open access publishing databases. Since this session, several academic law librarians have formed an informal working group to consider open access publishing issues in law. See Presocraticatomist for a full report. The BIALL conference dinners never disappoint. The First Night Dinner was held at the Hilton Hotel and sponsored by LexisNexis. We were welcomed with a cocktail of scotch whiskey, raspberry juice and lemonade – which I could quite happily have drunk all night long! I was pleased to see my former colleagues at the University of Law win the award for Best Legal Information Services (Commercial Sector) – London Only. It should’ve been me! A special award was also given to Catherine McArdle of Lincolns Inn for attending 25 consecutive years of BIALL conferences. 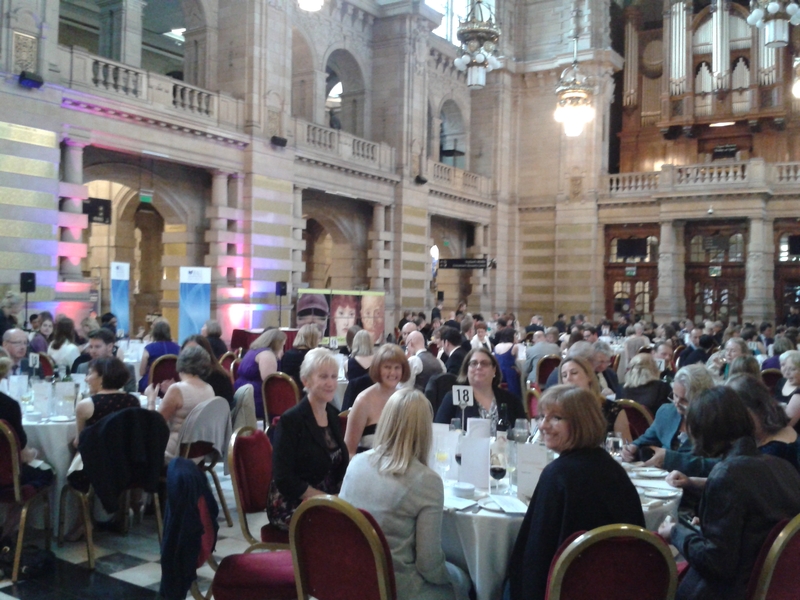 The President’s Reception was held at the Kelvingrove Art Gallery and Museum and sponsored by Thomson Reuters. The venue was magnificent, and I would’ve loved more time to view the exhibits. Ruth Bird of the Bodelian Law Library won a lifetime membership of BIALL, and Catherine McArdle of Lincolns Inn won Wildy BIALL Law Librarian of the Year, her second gong of the conference. 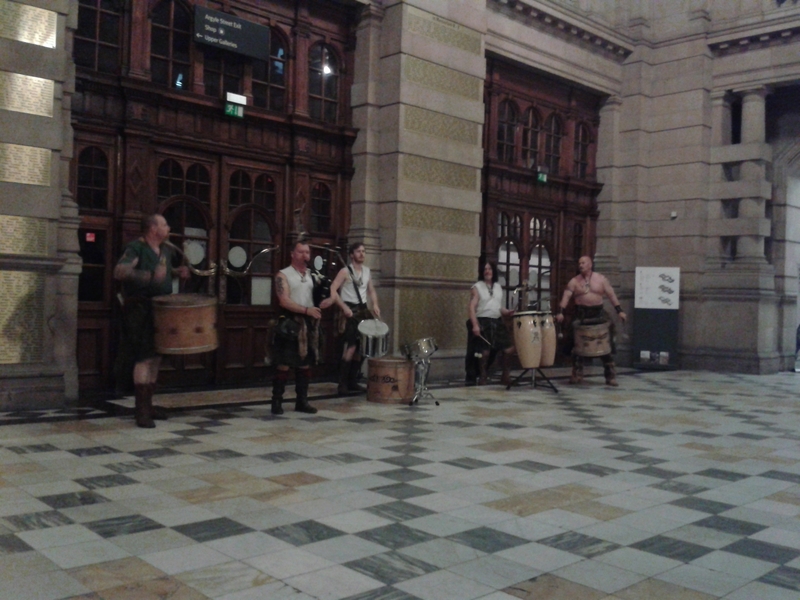 After the formalities, we were treated to entertainment from traditional Scots drummers and pipers. The closing day of the conference was dedicated to Business for Managers. Sarah Fahy of Allen & Overy’s presented “Nailing that Business Case – success and failure”, and Stephen Phillips of Morgan Stanley presented “Defining Value: Rethinking Your Position”. The recurrent themes from both sessions were alignment to organisational strategy, and measuring the value of your library service. Stephen also advised us to use more KISSES with our senior managers: Keep It Simple, Smart And Especially Short!